This mermaid munch recipe combines sweet and salty ingredients for the perfect 10-minute treat to feed a whole crowd of hungry kids. Planning and preparing for a birthday party when you’re 8 months pregnant is exhausting. By the time my oldest’s sixth birthday rolled around, all I wanted to do was take a nap. Despite trying to keep in shape during my third pregnancy, I could barely go more than a few blocks without needing to stop. Of course, the August heat didn’t help either. And as much as my big girl understood that the pregnancy took a lot out of me, she still wanted her birthday day to be special. Who could blame her? For kids, birthdays are one of the most important days of the year. So how do you make a special treat for a crowd of kids without breaking your back (or the bank)? The answer lies in popcorn. And sprinkles. And chocolate. I don’t think I’ve ever met a kid that didn’t like any of those three things. Put them all together and you’ve got an instant hit. We’re always experimenting with different popcorn munch recipes around our house. It only takes about 10 minutes to pull together a large batch, and it’s easy to customize for any theme or occasion. We like making these mixtures so much that my girls ask for ‘special popcorn’ with almost every movie night. Usually, I just pull together some popcorn with whatever treat I can find in the house. That could be miniature marshmallows, M&Ms, or even cookie crumbles (like the cookies & cream version I made for my friend Tamara). But I wanted to make sure that whatever I made for my daughter’s Mermaid party was extra special while staying easy on my pregnant body. Line two sheet pans with parchment paper and spread popcorn on top. Add the Goldfish crackers and mix well. In a microwave safe bowl, melt the blue candy melts. Microwave the candy melts for 30 seconds to start, then stir with a fork. Repeat at 10-second intervals until the candy melts are melted and smooth. 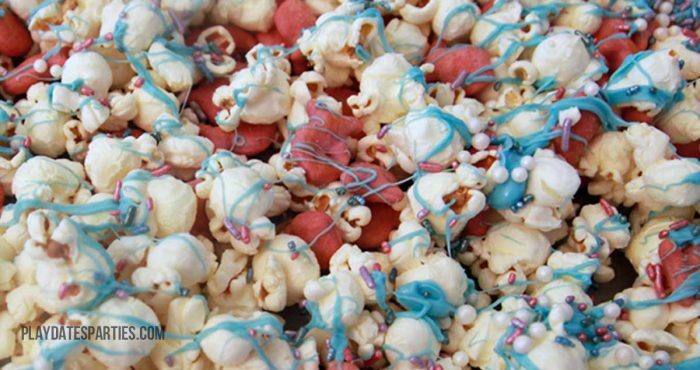 Using a back-and-forth motion, drizzle the candy melts over the popcorn mixture with a fork. Alternatively, flick the fork across the candy melts to get thinner drizzles. Before the candy melts harden, add the shimmering sprinkles and pearls. Allow the candy melts to harden completely and then break apart into chunks. Store mermaid munch in airtight containers for up to 3 days. 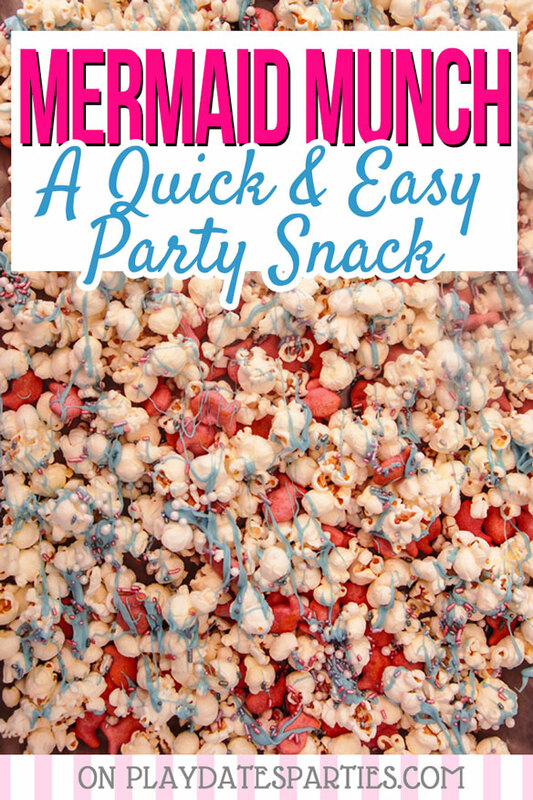 Even if you’re not sporting an 8-months-pregnant belly, Mermaid munch is a perfect recipe for your little girl’s birthday party. 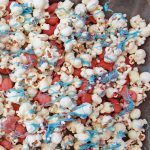 And, if you’re going off-site for a party, it’s easy as pie to just bring the whole batch in gallon-sized ziplock bags to fill paper popcorn boxes on site. Score! What’s your favorite easy treat for a crowd? What would you put in mermaid munch? I’m just impressed that they have “princess” goldfish! So yes, I’d use those, as well as maybe the sprinkled cookie goldfish I’ve seen. And definitely sprinkle or white chocolate type stuff. Glittery, shimmery things. It looks so festive. I would make it Teenage Mutant Ninja turtle colors. My Godson’s bday party is coming up next month and this would be a perfect treat! I love those colors! It definitely has that mermaid sea vibe to it. And yes, much more festive than regular popular for sure. Man this looks SO good! I pinned it. because I think I want to make it for myself…..only. lol! Our little mermaids would LOVE this! YUM!!!! Cute idea! Always fun to have special snacks for a girls movie night. Visiting from Really Crafty party. Who wouldn’t want mermaid munch? What a fun treat – Thanks for sharing at the What’s for Dinner party! This looks yummy and I’ve pinned it for snacking ideas. Popcorn is such a low effort snack that can really be something special. And for some reason I don’t remember this when I go to host something! LOL I this Mermaid mix – my daughter would love it too! That sounds like a wonderful fun munch, looks great too! this is so fun 🙂 I can think of plenty of kids that would love that, my niece included! 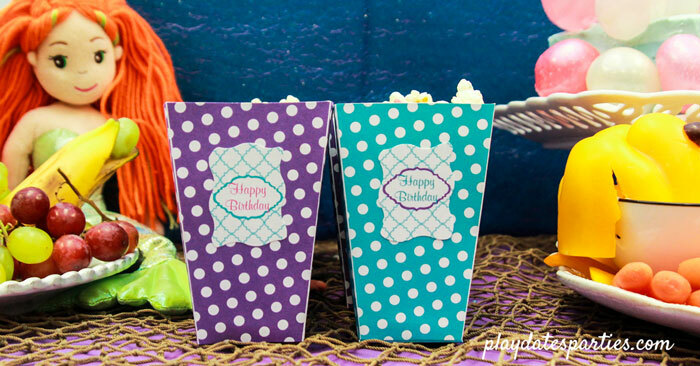 What a great and fun idea for kids’ birthdays! Looks delicious and so easy! What a great treat for your baby’s birthday! How fun! We are huge popcorn fans around here! i’ll have to give this a try! This is a great idea! My daughter is going to want it for her birthday party too! Thank you for sharing at The Really Crafty link Party this week. Pinned. My mom loves mermaids as does my daughter and niece. I can see that I’ll need to make this for them 🙂 Pinned. Thanks for sharing on To Grandma’s House We Go! This has come at a perfect time as I have to have a snack for a crowd on April 7th. 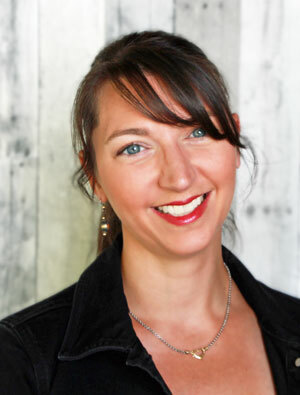 Found you on Simply Homestead Blog Hop. The Mermaid Munch looks so fun and delicious! My kids would love these! Thanks for sharing on Foodie Friday! My BOYS would surely object but I think this is super cute. They are teens and tweens now but would have loved it back in the day! This is as fun as I’m sure it is delicious! Thanks for sharing the recipe with SYC. It looks delicious and I’m sure it was a big hit with the kids! Thank you for sharing on Party in Your PJ’s!